On May 9, 2015, Dingman Township conducted its annual Spring Clean-up Day. While the figures are not in for the the material to be landfilled, the recycling numbers are in showing that, once again, the event was quite successful. Electronics - over 30 cubic yards collected ! And, hundreds of smaller miscellaneous items. Over 10 gallons of consumer batteries and 3 car batteries were collected for recycling. 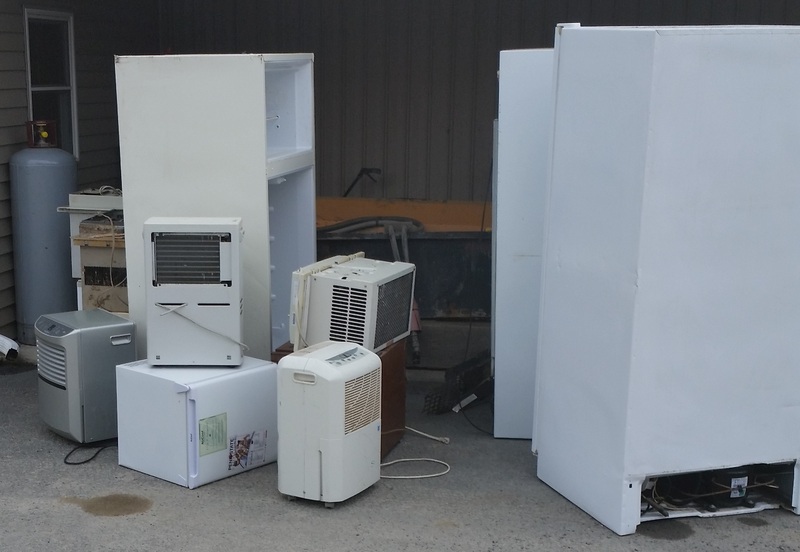 Over 70 cubic yards of mixed metals and numerous white goods were collected for recycling. All freon bearing items will have the freon removed before recycling. Because of everyone who brought these items to the 2015 Spring Clean-up and Electronics Recycling Day these materials will be recycled into useful products rather than buried in a landfill. 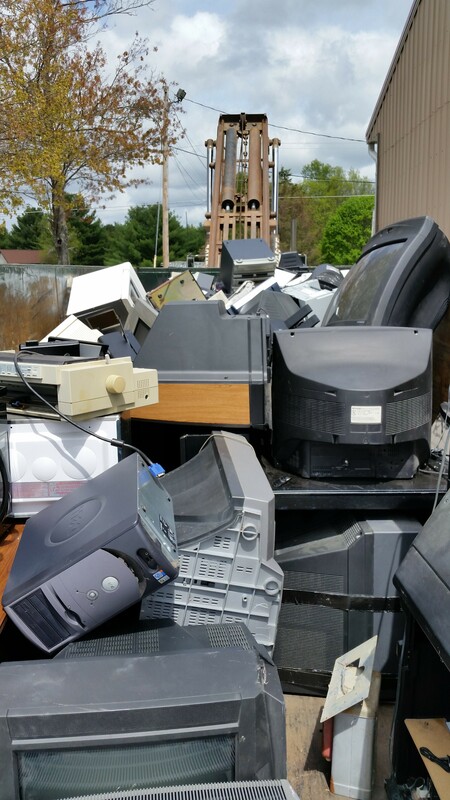 The Dingman Township Board of Supervisors wishes to thank County Waste, the Dingman Township employees, and everyone else who helped make the 2015 Spring Clean-up and Electronics Recycling Day a Success ! The date of the annual Fall Clean-up and Recycling Day has yet to be set. Watch the LATEST NEWS section of this website for the announcement and details.